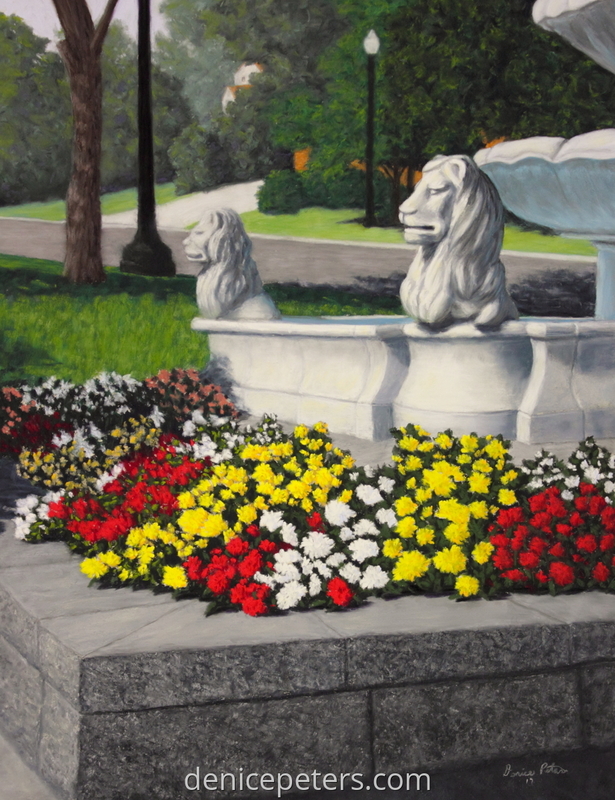 Pastel painting of a pretty fountain in my town. If has lovely flowers with lion statues guarding the flowers. It looked great with the sun shining on it.